Welcome to Day 3 of #Choctoberfest2017 !! First I would like to say a big thank you to Imperial Sugar! I received 88 lbs of their wonderful sugar in exchange for a post but all the opinions are my own! Now that all of that is out of the way on to the recipe for these delicious cheesecake bites! 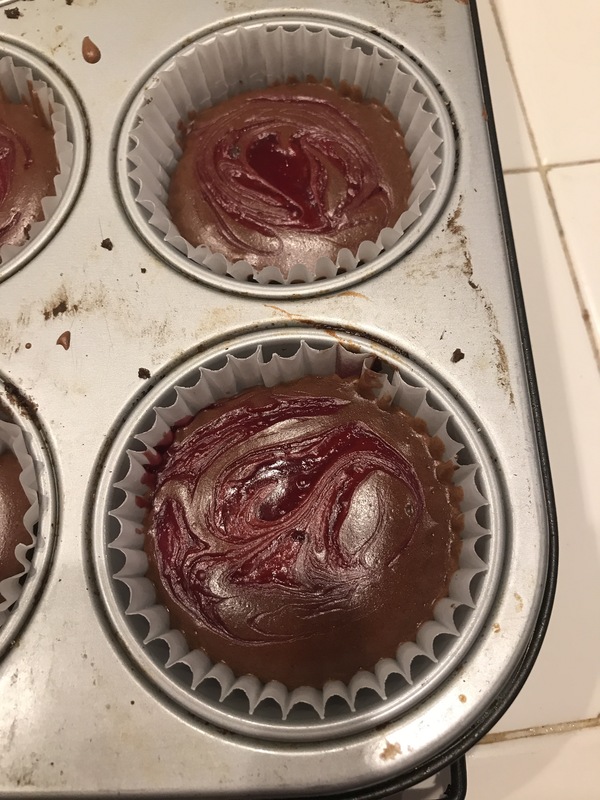 First you need to start with making the raspberry sauce for your swirl since that will need to cool to room temperature while you make your cheesecake bites….. In a small bowl stir cornstarch, lemon juice and water together, set aside. In a pot add raspberries and Imperial Sugar. Place pot on burner over medium heat, cook berries and sugar until the raspberries begin to break down and release their juices, stirring constantly. Should take about 3-5 minutes. Stir in cornstarch paste continuing to stir for another 2-3 minutes or until your syrup thickens. Remove from heat and strain out all the seeds. The juice that is left now becomes the raspberry swirl. Let cool to room temperature while you prepare the cheesecake bites. Preheat oven to 300 degrees and line 1 cupcake tin with 12 liners. Mix together the cookie crumbs, butter and sugar. Place about 1 Tbsp crumb mixture into each of the cupcake liners. Press firmly into the bottom of the liners and then place tin into freezer while you make the batter. In bowl of stand mixer add cream cheese, sugar, cocoa powder and vanilla, beat until smooth. Turn mixer down to stir and add egg, beat just until mixed in.Stir in whipping cream. Divide the filling equally between cups (about 2 Tbsp). Drop 1/2 tsp of your raspberry swirl on top of cheesecake batter and using a toothpick swirl it in. Bake at 300 degrees for 20-23 minutes. Remove from oven and let cool in tin for 10 minutes. Remove from tin and let cool 1 hour. Place bites in the fridge at least 4 hours to firm up. Once firm it is time to make some whipped cream for the tops. In bowl of stand mixer,with whisk attachment place powdered sugar, whipping cream and liquor, whisk until you get a pipeable consistency. 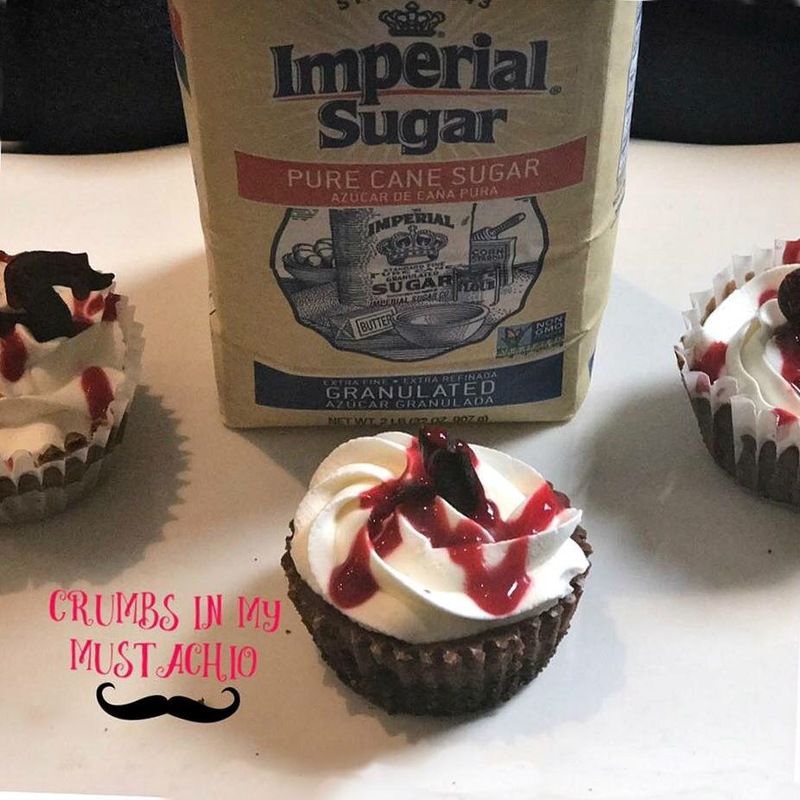 Pipe whipped cream on top of your bites and ENJOY! !